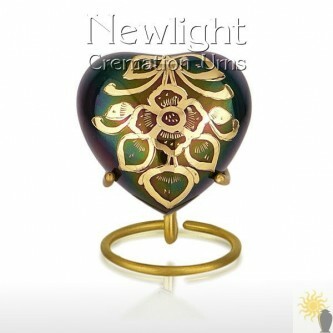 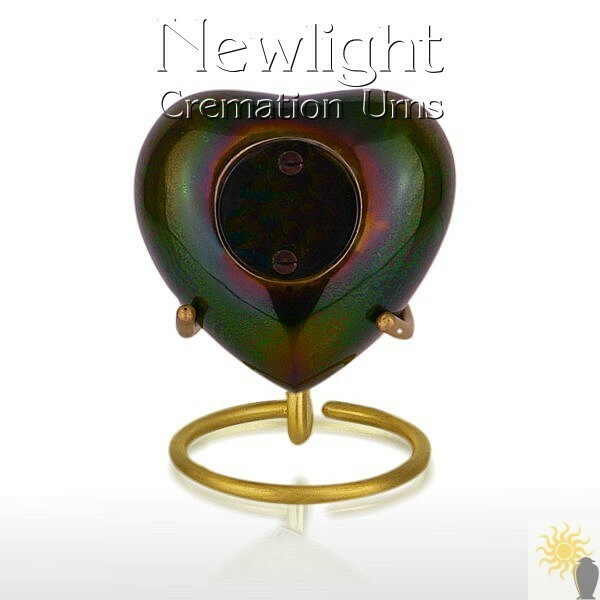 The Bouquet Heart keepsake is a very high quality solid cast brass ashes keepsake, it has a beautiful enamelled and engraved floral design with a pearlescent mirror finish, it is designed to hold a small amount of the cremation ashes. 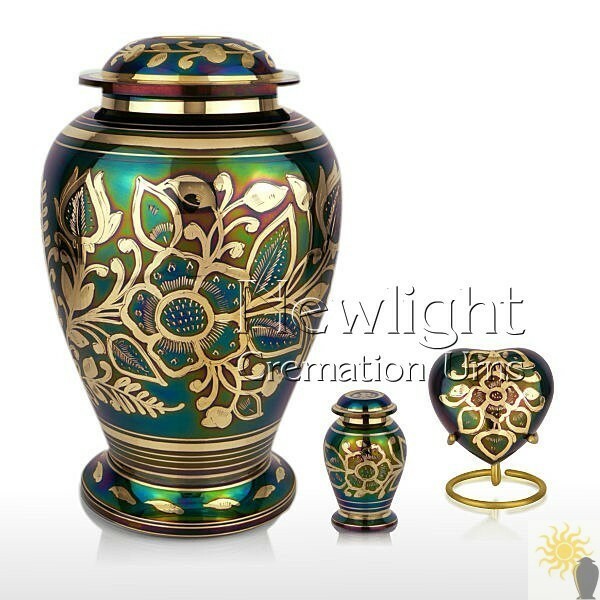 These urns can occasionally differ slightly from the one in the photograph, the reason for this is the unpredictable process of firing the urns during manufacture to produce the pearlescent finish. 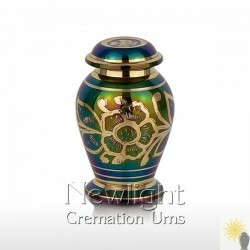 Like all pearlescent finishes they alter as the light hits them, and this can produce hues of green, blue, brown, purple, black, in fact just about any colour, but it is not a controllable process and makes every one truly unique.